I acknowledge that, not having grown up in either Israel or Palestine, or having any relatives or friends who have experience of life in Israel or Palestine, I don't exactly feel that I am particularly well placed to take either one side or the other. When it comes to this most complicated of conflicts, I have always tried to think of it logically, to come to a calculated decision over what to believe and think, to not let myself get swayed by emotion, hysteria or propaganda. However, tonight it has been brought a lot closer to home (metaphorically speaking). Via Twitter, millions of people have been witnessing the conflict up close, courtesy of a myriad of Gazans armed with little more than an internet connection and social media devices. Tonight, on what appears to be one of the heaviest military offenses by Israel on Gaza, I can't help but feel shocked, angry, helpless, and a great deal more, as I find myself reading messages of fear, of panic, of disbelief, and, arguably most disturbing of all, resignation and fatalism. @WhateverInGaza @ZiadBGaza Ya Allah. Will we live through this night? These are normal, young, bright people who should be living life. They should not, under any circumstances befitting humanity, be tweeting that they may be killed at any moment, wondering whether a stray Israeli bomb will fall on their house, purely at random, and wipe out their existence. Sitting in their home, their sanctuary, unable to leave, unable to run, just hoping and praying that they will survive the night. I really don't know what else can be said. Those tweets speak for themselves. 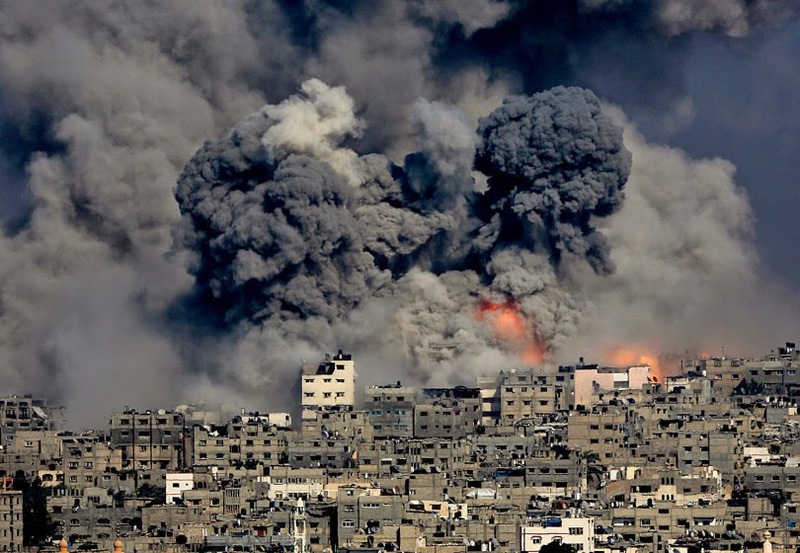 I hope and pray for your safety, people of Gaza. I want you to know that the world cares about you. And please, keep us updated as often and as thoroughly as you can.